Caribbean Hindustani is a form of the Bhojpuri dialect of Hindustani spoken by Indo-Caribbeans in Trinidad and Tobago, Guyana, Suriname, Jamaica, Barbados, and the rest of the Caribbean region with significant Indian influence. The language is spoken by the Indo-Caribbean descendants of emigrants from the Hindi Belt (Bihar, Chhattisgarh, Haryana, Bengal, Himachal Pradesh, Jharkhand, Madhya Pradesh, Rajasthan, Uttarakhand and Uttar Pradesh in India, and Madhesh in Nepal). Because a majority of people came from the Bhojpuri region of Uttar Pradesh and Bihar, and Rajasthan, Caribbean Hindustani is most influenced by Bhojpuri, Awadhi, Braj Bhasha, Rajasthani, and other Bihari varieties of the Hindustani language. It is closely related to Fiji Hindi and the Hindustani spoken in Mauritius and South Africa. It has also borrowed a large number of words from Dutch in Suriname and other Dutch colonies, and English and French in former British colonies and French colonies. A large number of words, unique to Caribbean Hindustani, have been created to cater for the new environment that Indo-Caribbeans now live in. 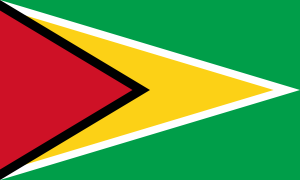 The Caribbean Hindustani of Guyana is known as Aili Gaili or Guyanese Hindustani and is spoken by some members in a community of 300,000 Indo-Guyanese. The variant spoken in Trinidad and Tobago is known as Trinidadian Hindustani or Trinidadian Bhojpuri. After Trinidadian English and Trinidadian Creole it is the third most widely spoken language of Trinidad and Tobago. In 1996, it was spoken by 15,633 people. 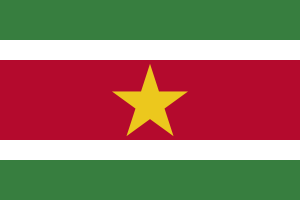 After Dutch and Sranan Tongo, Sarnami Hindoestani is the most widely spoken language of Suriname. ↑ Hammarström, Harald; Forkel, Robert; Haspelmath, Martin; Bank, Sebastian, eds. (2016). "Caribbean Hindustani". Glottolog 2.7. Jena: Max Planck Institute for the Science of Human History.